Owning Arizona real estate is different for everyone. Many focus on the warm weather, 320+ days sunshine or the beauty of the great Southwest. Others want to be able to play golf the year around. Swim, play tennis or hike on any given day. All of these can be realized in Arizona. Some the year around, some not. Like so many things, the decision to buy Arizona real estate in Tucson is personal. Life styles and personal interests are key to the decision. Accordingly, there are many things to consider. These usually include neighborhoods, health facilities, schools and of course home prices. Arizona has dramatically different landscapes and temperatures. Elevation and topography vary greatly throughout the state. 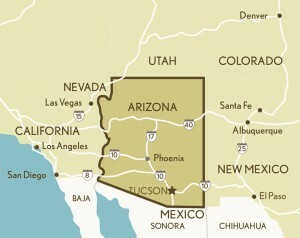 Tucson is in Southern Arizona. Tucson is surrounded by dramatic mountain ranges and Sonoran desert. Tucson residents can literally go skiing in the morning and play golf in the afternoon. Use our MLS Tucson home search to review homes for sale in Tucson Az. There are many reason why this state is so great. It is also why it is important to have a local Arizona real estate agent to help you. If you are considering Arizona real estate in Tucson, we would like to work with you. We have worked with many clients. From first time home buyers to those interested in luxury home ownership. Let us assist you in finding the right home for you in Tucson, AZ. Review our backgrounds. Read what our clients have say about us. We are the PROFESSIONALS in Tucson Arizona Real Estate. Recent trends in Arizona real estate indicate that prices are continuing to increase. Both buyer’s and seller’s are resetting their understanding of the value of property in today’s market. Inventory in Tucson is relatively low and prices are up from prior years. Between December 2011 and December 2012, the average selling price for a single family Tucson home went from $163,527 to $174,253. That is an increase of 6.6%. More on Tucson Real Estate Market Trends. Want to search Tucson home sales listings, Tucson Arizona Real Estate For Sale OR all Tucson MLS listings?We can help.